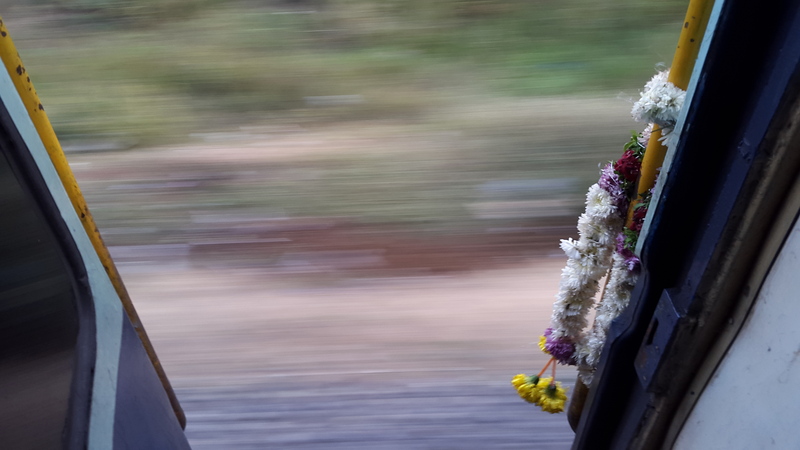 Two days on this Indian train. An exciting journey from New Delhi to Kerala. So many different people, old and young ones, talkative and silent people. Being busy with themselves or interested in getting to know others. The most touching picture I took with me was this flower garland. Someone fixed it to protect the travellers and to wish them a safe trip. It is just one of these multiple beautiful rituals in India of caring, blessing, doing good to their beloved ones.